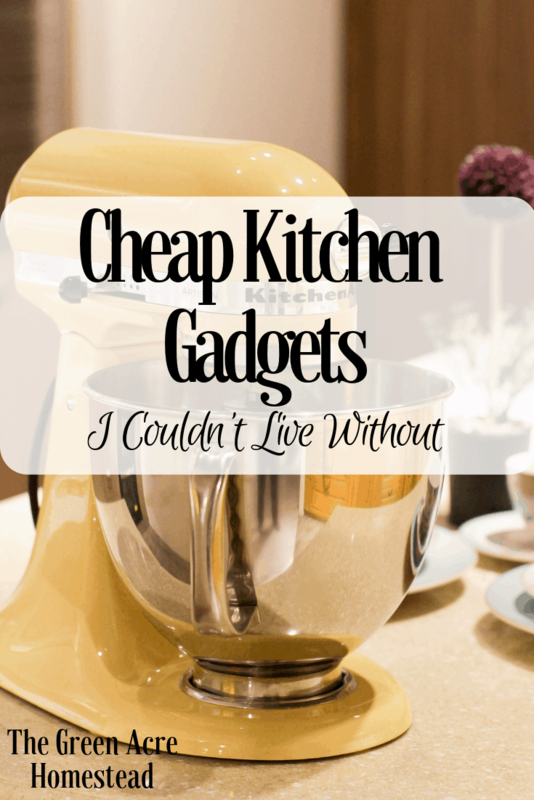 I love being in the kitchen and I love cheap gadgets. The love of baking and cooking runs in my family and as I get older, I continue to find little things that make my life in the kitchen easier. Just a disclosure, if you do decide to buy any of my favorite items I may make a small commission through the Amazon Affiliates program. There will be no fees or extra charges to your purchase, though, so don’t worry! Thank you for supporting The Green Acre Homestead, let’s get started. There is a lot of bacon being cooked in this household. I also use the saved bacon grease on occasion to cook things like hash browns, so as you can imagine, many of my shirts are spotted with oil stains. Although I’ve started wearing aprons, it’s sometimes not enough. Plus, who likes being popped by boiling oil? This cheap kitchen gadget takes that worry away and I use it multiple times a week. You can also use it for sauces and soups! I’ve written about reusable straws before in a post about minimizing waste in your household.If you have children, reusable straws are a great option for the homemade milkshakes and blowing bubbles in their chocolate milk. Smoothies are made every day in our house and I love iced coffee so straws are used multiple times a week. These stainless steel straws are very well made, just remember don’t use this cheap kitchen gadget in hot liquids! I’m not calling you names! My spices used to be all over the place, taking up an amazing amount of space. Once I found a lazy susan spice rack, my problems were completely solved. It tucks back into that awkward corner of the cabinet that I couldn’t find a reason to use and all of my spices are out of sight, but not out of mind! This actually might be the best gadget I’ve on the cheap for my kitchen! When I was a young girl, I reached my hand into a drawer on sliced my finger. IT HURT…quite bad. My mother-in-law had her knives on a magnet strip and when I saw it, I thought “GENIUS”! It’s easy to know what knife to pull when I need it, which knives are clean and aren’t, and I think it looks nice. I’m not always a big fan of “modern” but I’ll admit I do like how modern the knife magnet strip is. Do you use any of these gadgets in your kitchen? How about other pieces you couldn’t live without? I’d love to hear about them! For more cheap kitchen gadgets, check out this Buzzfeed article “20 Useful Kitchen Gadgets Under $20“!